We started flying missions for EBC Adjusting, providing primarily photographic evidence of roof damage post-Hurricane Irma. Roofs with Metal, Shingle and Flat Roofing systems were inspected for surface damage. 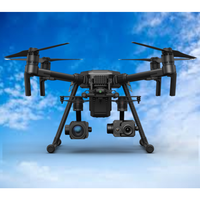 As the technology became available, we began offering our clients Qualitative Aerial Infrared Inspections for commercial and residential roofing systems. We developed a night flight protocol complying with FAA specifications allowing night flight (Day Time Waiver). Presently we are a Vendor for the US government, Miami-Dade County, Broward County and the Miami-Dade County Public schools.